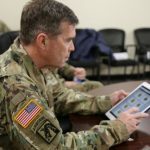 WASHINGTON (Feb. 23, 2015) – ArmyFit celebrated its first birthday recently, with the addition of several new features to its website. 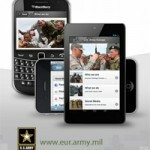 The site, at armyfit.army.mil, is designed to help improve quality of life for Soldiers, families and Army civilians. ArmyFit is primarily a resource site, a “really, really good resource site,” said Chaplain (Lt. Col.) Stephen W. Austin, a program developer for the Army Resiliency Directorate, G-1, the organization responsible for collecting and posting the content. Although the website is not interactive in the way gaming sites are, it is innovative because it is able to custom-tailor content specifically for each person, based on their answers to the Global Assessment Tool, more commonly referred to as GAT 2.0. The GAT is a survey Soldiers are required to take annually. Family members and Army civilians are also encouraged to take it, he said. 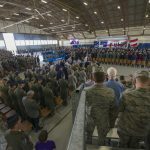 Based on GAT 2.0, the website directs Soldiers to helpful resources within the physical, spiritual, emotional, family and social resilience categories, he said. The performance triad categories of sleep, activity and nutrition are included as well. The website can also connect the user with appropriate social media groups. Among the new features is an option to receive weekly emails, which provide custom tips and updates on new content. Austin said this saves the user time in that they do not need to log in to see if there is new content available. 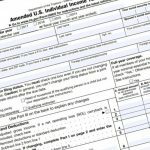 Also new to the website is a financial resilience assessment, developed under advisement of Army Installation Management Command’s Financial Readiness Program. “It’s a very substantive assessment, using a multitude of financial data points,” he said. Users also now have the ability to synchronize their personal fitness devices to ArmyFit, Austin said. This new feature is compatible with about a dozen of the most popular fitness devices such as JawBone UP, Runkeeper and FitBit. A tracker feature allows users to set goals, add data and track improvements regarding weight, body measurements, and alcohol consumption so improvements can be readily checked. About a month ago, a pilot was started, known as the ArmyFit Commanders’ Profile, or ACP, he said. ACP provides aggregate population health data based on GAT 2.0. It is being piloted at five installations and five National Guard states. Austin emphasized that an individual’s information within ACP is anonymous. It merely aggregates the data to show trends and other statistical information that could be used to help a commander’s ready and resilient efforts. Resources accessed by users on ArmyFit are also anonymous, meaning no one can track an individual as he or she navigates the site, he said. Once testing of ACP is completed and after the after-action review is completed, it is expected to be expanded Army-wide, he said. In addition to ArmyFit adding new features, users themselves can also affect changes to the site, Austin said. The website maintains an active help desk. “We get a lot of queries and also a lot of good ideas, some of which are incorporated into the site. We’ve paid a lot of attention to that,” he said. For instance, the website gets a lot of feedback on nutrition and fitness, such as Crossfit, paleo-diets and so on. “We don’t want to penalize people for doing those in the algorithm and also we need to know what’s working well,” he said. The algorithm Austin referred to is the intelligence capability the site uses to formulate recommendations based on GAT 2.0 results. 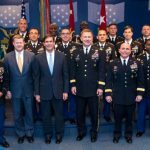 By next year, the Army is looking to make ArmyFit an app. Currently, he said, the best way to access it is from a computer or tablet. It can actually be looked at now from a mobile phone, but it’s not as user friendly. Austin encouraged new users to visit the site and those who’ve not been on it for a while to go back and take a look.